Normal cells grow to their desired size, space themselves out evenly and stick to their original site, with a good respect for their neighbours. They obey instructions from the regulatory systems of the body via hormones and chemicals. They do not divide or replicate unnecessarily and do so at a controlled pace. Finally, they die when they are supposed to via order to make room for healthy young cells to take over their function. Cancer cells grow as fast as they can, don’t die when they ought to, clamber on top of each other and quickly run out of space in the organ of origin. They not only expand the organ but also infiltrate and invade their neighbouring structures, causing considerable damage. This invasion is one of the hallmarks of cancer. The other way cancers can make room for themselves is to lose their stickiness to the organ of origin and break off and spread (metastasis) to another part of the body and start growing there. Cancers are usually named by the origin they have originated from (even if they have spread). This is a simplification as each organ is capable of developing several different types of cancers depending on their cell of origin i.e from the glandular tissue itself usually an adenocarcinoma, from the supporting tissue a sarcoma (see list below). It is also possible the usual normal cell population within one site can change from one type to another (called metaplasia) in response to chronic irritation such as acid in the lower oesophagus (Barrett’s oesophagus) or a stone in the bladder. These cells, in response to further stimulus grow faster than they should, piling cells on top of each other, but still is a fairly orderly fashion (hyperplasia). Eventually, this more rapid growth leads to more spontaneous mutations and the first steps of disorganised growth (dysplasia) and from there established cancer. 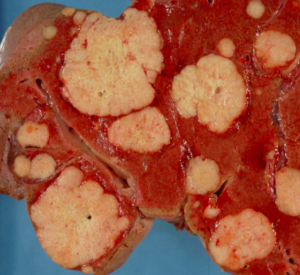 Adenocarcinomas – glands in breast, pancreas, prostate, gut and lung. Urothelial cancers – linings of blabber or tubes from the kidney. Even though cancers have some common characteristic their grow rate, pattern of spread and response to different treatments can be vary considerably so it important know what type you and your doctors are dealing with. Even cancers of the same types, from the same gland can behave very differently depending the genes and receptors which activated and pathologist now spend a great deal of time profiling cancers into subtypes in order to guide oncologist to the best individualised treatments. As we are in the dawn of era of biological treatments, this process is likely to be even more important and complex to the extent that in to guide or suppressed. The management of individual cancer types for different patients is very complex and the emphasis of one treatment over an other can vary depending on which organ the cancer originates, which cells they are derived from. Even the management of patients with the same cancer can vary enormously depending on the grade of the cancer (how aggressive the cells look down a microscope) and how the stage (how far it has spread). Even the management of individuals with the same stage and grade can change depending on the condition and general health of the patient. Finally there may be differences in the management between different doctors or institutions depending on their scientific opinion and experience. 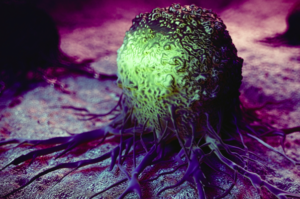 How have normal cells mutated into cancer cells? This array of nasty, yet clever, tricks can only be summarised briefly here as they involve complex biochemical pathways, a description of which would be outside the scope of this book. Furthermore, new ones are continually being the discovered, many of which are being investigated as targets for cancer treatments. These adaptions differ between cancer types and although researchers are working to find the “Holy Grail” common to all cancers, but not in normal cells, this remains elusive. A comprehensive biochemical description of the hallmarks of cancer can be found on cancernet.co.uk/cancers.htm Otherwise some of the biochemical mechanisms, which cancers have adopted, are now summarised below as they provide a background to understand how cancer treatments and, for that matter, lifestyle measures work. Generate their own growth signals; Normal cells require growth signals before they can move from a dormant state into an active proliferative state. These signals are transmitted into the cell via receptors on the cell surface. Normal cells can’t grow without these signals which is why they don’t grow when put on a petri dish in a lab. 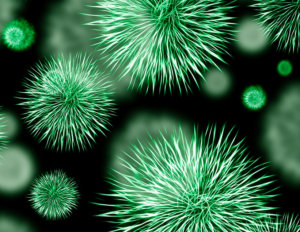 Cancer cells on the other hand grow and proliferate on their own on a petri dish (and in the body) because they have learn to generate their own growth signals – this is called growth signal autonomy. Many of the genes which promote cancer (discussed below) act by mimicking normal growth signaling via chemicals called tryrosine kinase in one way or another. A number of new targeted anti-cancer drugs have been developed called tyrosine kinase inhibitors which aim the reinstate this control. Over-riding check point anti-growth signals. Normal cells stop growing when they need to in response to check point signals which tell them to switch off. Cancer cells have learnt to be insensitivity to antigrowth signals so they continue to grow despite overcrowding themselves and their neighbours. Loss of hormonal control: Via a process called de-differentiation cancer cells, although starting off similar to those in the organ of origin, soon start evolving into more aggressive forms. These undifferentiated cells loose the receptors (antennae), which pick up signals from hormones become allowing them to grow unchecked and become resistant to hormonal therapies. Loss of circadian rhythm Normal cells slow down at night helping them repair spontaneous or acquired genetic damage and preserve energy. Some cancers have learnt to switch off the normal circadian biochemical clock so they can grow 24/7. Drugs are now being developed to help restore circadian rhythm in cancers and is one of the theories, yet to be proven, that melatonin can help. Damage to the DNA policeman: A widely known protein, which protects DNA is nicknamed the DNA policeman, although its official name is p53. If a cell is partially damaged, the P53 slows the cell cycle and allows DNA repair to take place. If repair is not possible it does not allow the cell to divide with damaged DNA, which could eventually cause cancer. Instead it triggers pathways to tell the cell to commit suicide – this is called programmed cell death or apoptosis. Some people are born with a defect in this policeman gene (known as Li-Fraumeni syndrome). As you can imagine, they usually develop multiple cancers at a very early age in life. Acquired defects in p53 have been identified in over 50% of cancers. This allows cells to pass through the various stages of the cell cycle rapidly – too fast for apoptosis pathways to be triggered, allowing cells to continue growing and dividing albeit with partially defective DNA which leads to further mutations. Resistance to programmed cell death (apoptosis). Independent of P53, cancers cells can develop changes in their apoptosis mechanisms. In this case, even if p53 is able to send a signal for cell to commit suicide, the suicide apparatus is not functional and the cell carries on growing and dividing. Most cancers have acquired resistance toward apoptosis which is now regarded as a hallmark of cancer. Telomere protection A lynchpin to the immortality of malignant cells is the ability to maintain the length of a small strip of nuclear proteins at the end of each DNA – the telomeres. Like slow-burning fuses, telomeres become shorter each time a cell divides, acting as a kind of cellular clock ticking down a cell’s age. Eventually they are depleted, and the cell enters a permanently arrested state called senescence. To escape this inevitable demise, about 90 % of human tumors are able boost intracellular levels of an enzyme called telomerase, which adds nuclear proteins to telomeres, thus turning the clock backwards. Chemicals called vascular epithelial growth factors (VEGF) signal the local blood vessels to grow into the rapidly expanding tumours in order to supply the energy and nutrients they need. The oxygen and nutrients supplied by the vasculature are crucial for cell function and survival, obligating virtually all cells in a tissue to reside within 100 μm of a capillary blood vessel. During the development of organs the growth of new blood vessels, the process of angiogenesisis transitory and carefully regulated. 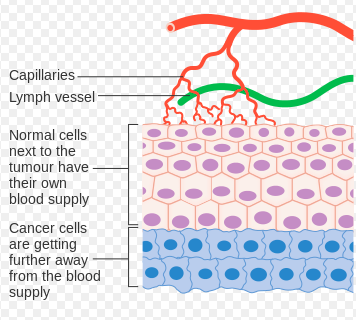 For cancers to grow over 100 μm they need to recruit blood vessels into themselves from their immediate tissues in a process called angiogenesis. The angiogenesis-initiating signals are include vascular endothelial growth factor (VEGF) and fibroblast growth factors (FGF). A number of anti-angiogenic drugs have been developed including avastin and zaltrap, which help by preventing cancers growing too big. By dividing faster and not dying when they should cancer soon run out of space. In order for them to survive and make more room for themselves, they have learnt invade adjacent organs and metastasies to other parts of the body. The first stage of expansion is to loose the glue that keeps normal cell in place – loss of adhesion. The molecules responsible for this glue are called cell adhesion molecules (CAMs) and include cadherins, integrins and selectins. In normal tissues they are responsible for wound healing and tissue repair. Once cancer cells have blocked their production they are free to migrate, the next stage in the process – migration. Migration occurs when cells release chemicals which break down the extracellular matrix proteins and fibroblasts – barriers to their spread. They can either spread directly into tissues or migrate along nerves, lymphatic and blood vessels in an amoeboid this manner. Sometimes they migrate, initially, just within the gland of origin such as the breast ductal system. In this case they are called carcinoma in situ. However, if they have managed breach the basement membrane of the organs or glands they are called invasive cancers and have the capacity to spread to distant sites in the body via the blood stream – metastasis. Metastasis requiring sequential series of complex biochemical steps before they become clinically significant lesions which inevitably leads to the demise of the host. Recent evidence suggests that the first stages of metastasis can be an early event and that 60% of patients have initiated the metastatic process by the time of diagnosis. Even patients that have no evidence of tumor dissemination of various scans, at presentation are still at risk for metastatic disease. Approximately one-third of women, for example, who are sentinel lymph node negative at the time of surgical resection of the primary breast tumor will subsequently develop clinically detectable secondary tumors. The risk of metastasis traditionally depended prognostic factors such as its histological grade (aggressiveness) and stage (size and how far it’s spread such as into the local lymph nodes) but a host of biological markers can help including oestrogen receptor expression, HER-2 amplification and k67 levels can help improve an estimate of the risk. These and many more genetic markers have been used in commercial kits which provide a low, medium or low risk score which helps to decide which individuals should be offered adjuvant treatments at initial diagnosis. These treatments are usually given around the definitive primary treatments an included chemotherapy, hormone therapies and biological therapies which have considerable toxicities. 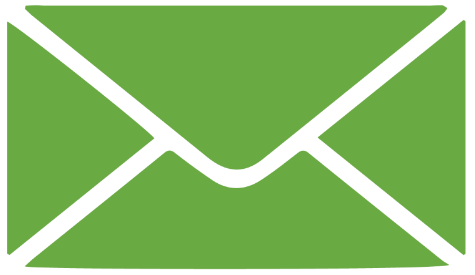 Although adjuvant treatments have successfully eliminate micro-metastasies in a great number people and have been a significant contributor to better cancer outcomes, they have to be given to many people, who did not require them, in order to benefit a few, so an improved understanding of the factors leading to tumor dissemination is of vital importance. Rapid turnover of cancer cells with damaged DNA and impaired repair processes makes them more susceptible to damage from reactive oxygen species (ROS), which could damage them further and potential kill them. ROS can be generated from continued carcinogen exposure or formed naturally as a byproduct of oxidative phosphorylation. Cancer carcinogens cells have learnt two adaptions in ordered to reduce intracellular ROS. First, It has been proposed that one reason cancer cells give a higher priority to glucose (glycolysis) as opposed to fat burning which by passes glycolysis is that this reduces ROS produced from electrons escaping from oxidative phosphorylation. 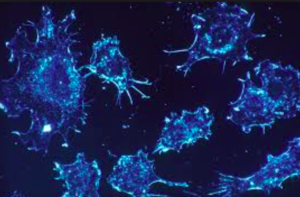 Second, cancer cells, have develop resistance to oxidative damage by decode oxidative-stress signals and convert them into pro-survival signals actually promoting growth even in highly oxidative environments. Cancers have lower oxygenated environments, which are inevitable in rapidly growing masses that have a tendency to out strip their blood supply even with enhanced angiogenic capacities. To cope with this, cancer cells prioritise glycolysis which can function anaerobically and even if aerobic glycolysis is possible it needs less oxygen than within the oxidative phosphorylation pathway. The rapid proliferation also means a much higher need for nucleic acids and amino acids such as the ubiquitous glutamine. In both normal and cancer cells synthesis of proteins, a small percent of those proteins do not fold properly. When that happens, the cell activates its unfolded protein response (UPR), which slows down the making of new proteins while the misfolded proteins are refolded. Eventually, the buildup of misfolded proteins becomes toxic and leads to cell death. Cancer cells form a lot of misfolded proteins, but they have learned to use the UPR to slow protein synthesis when needed, in order to handle the backlog of mis-folded proteins. This helps them survive in conditions that would kill normal cells.